They’re bigger than life. As they walk arm in arm across the gallery floors at MoMA, people halt and stare. He’s a commanding figure with a famous face and regal posture; she radiates energy and exuberance as she greets security guards, administrative personnel, and curators by name. 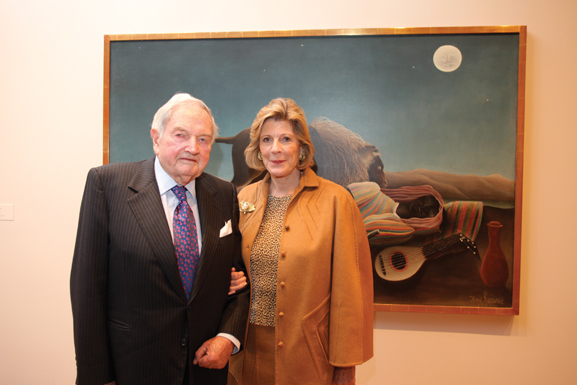 David Rockefeller and Agnes Gund are the lions of the Museum of Modern Art and of the art world.